On Friday, March 27, students from different grades will unite for Rockland High School’s annual Broadway Night. The Music Department gets together to put on a show performed by students that is as much fun for the audience to watch, as it is for the students to perform. Not every student will have a solo but they do have their time on stage performing with other classmates. “I will be singing “Happy Talk” with a group of freshman girls and “Masquerade.” I will also be playing songs from both of the selected shows South Pacific and The Phantom of the Opera,” says freshman Stephanie Blaney. 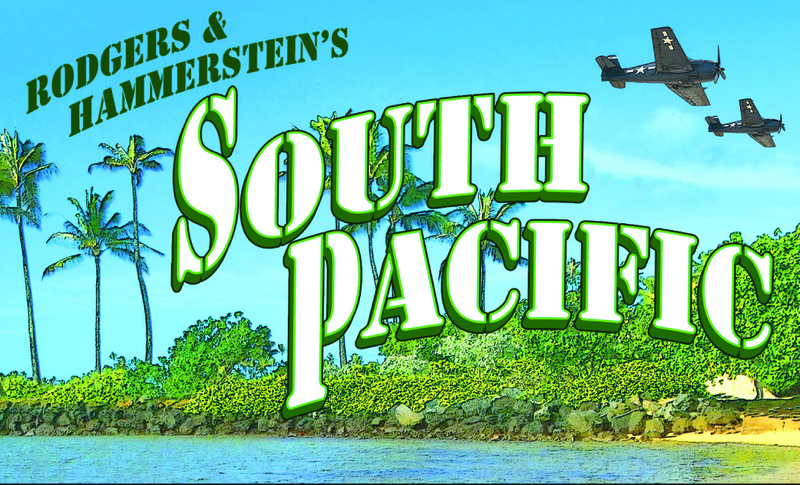 Students selected two of Broadway’s most well known and biggest shows, Phantom of the Opera and South Pacific. 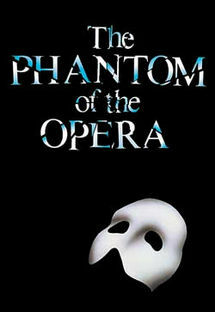 Students participating in Broadway Night will be singing songs from the two musicals they selected. With only a few days until the concert, the Music Department’s hard work will pay off when they see the audience gather in the auditorium. “It’s certainly a night to come and enjoy our students’ musical talent. We have so many talented students; this is where they get to show their skills,” says Ms. Hartnett. Although it is a concert, Ms. Hartnett explains the show will make you laugh at times when you see your fellow classmates sing comical songs in comic costumes. “If you want to be showered with laughter, you won’t want to miss ‘I’m Gonna Wash That Man Right Outta My Hair,” Butler says. Celebrate the Music Department’s hard work by going to see the annual Broadway Night concert on Friday, March 27 at 7:00 P.M. “Be there or be square,” Blaney says. Tickets will be selling for $5 dollars at the door. Baseball fans from New England are envisioning the summer because their Red Sox have taken the field in Fort Myers, Florida to prepare for the upcoming season. The pitchers and catchers reported on February 20 but most of the players had already arrived. As of now, the Red Sox have less than a month to prepare for the season as their opening day is April 6 against the Philadelphia Phillies. The Red Sox went from worst to first two years ago, but can they do it again? The offseason began with the signing of two big time sluggers. The additions of Pablo Sandoval and Hanley Ramirez should help the Red Sox bring their pop back. They will add depth to an already solid lineup. David Ortiz and Mike Napoli will benefit greatly from these acquisitions. Both Ortiz and Napoli are RBI guys. Their job is to drive runners in. How will they produce with nobody getting on base ahead of them? The Sox are hoping that these two will benefit greatly from the two free agent pickups. The biggest question circling Red Sox Nation this winter has been the pitching staff. The Red Sox lost to the Chicago Cubs in a race to sign Jon Lester. Immediately after Lester signed with the Cubs, the Sox traded for Wade Miley and Rick Porcello. They also signed free agent right-hander Justin Masterson to a single year deal. These pitchers may not be “superstars,” however they are all groundball pitchers which should help the Red Sox at Fenway Park. 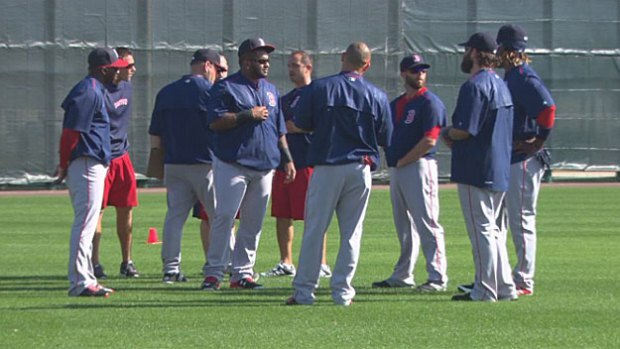 The key to the Red Sox’ success in the 2015 season will be health. They were slammed by injuries last season to key players such as Clay Buchholz and Dustin Pedroia. Many are anticipating Buchholz to be the ace for the 2015 Red Sox. He has proved that he is one of the most dominant pitchers in the American League when healthy. The Sox also need to have a healthy Dustin Pedroia patrolling second base. Early reports out of camp are that Pedroia is the healthiest he has been in over two years. As fans well know, Pedey has had a variety of wrist and hand injuries the past two plus seasons. The Red Sox had an active offseason with the signings of some big name players. The season has not even started yet and there are questions surrounding the pitching staff. If the staff can hold up and be affective, the offense has the potential to be the best in baseball. The team is strong on paper but they have proved nothing until they can pull them together on the field this summer. Rockland High Cheer will return to the school tomorrow with a new addition to their trophy case. 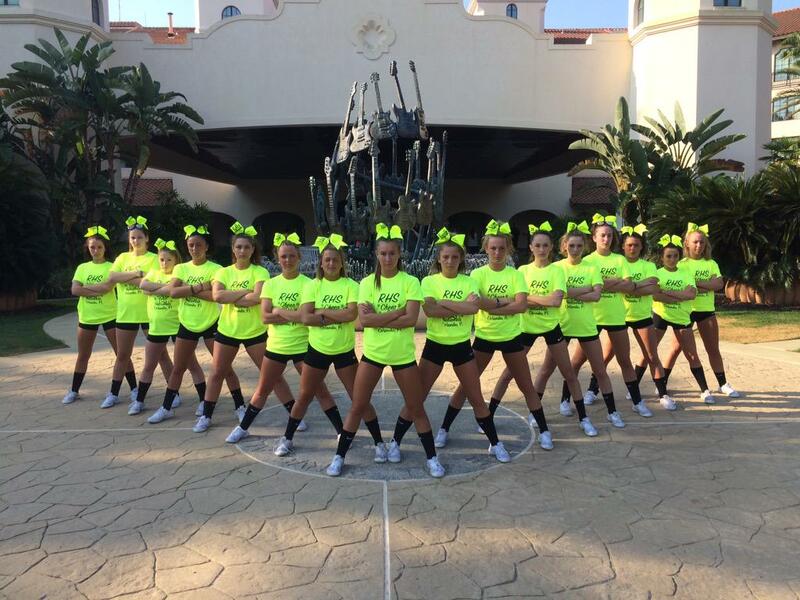 The girls competed in Orlando Florida at the U.S. Spirit National Championships and came in first within their division. Congratulations, ladies! For more about this story, see our sports pages on this website or see the April 1 print edition of The Veritas! Adam Royle, Meghan Foster, & Sydney McKenna with students from another school. From March 11 to March 13, members of the Rockland High School Student Government Council attended the annual Massachusetts Association of Student Councils’ conference in Hyannis. For more about this story please see the next issue of The Veritas. HYANNIS – On March 11, the first day of the annual Massachusetts Association of Student Councils (MASC) conference, the Rockland High School Student Government Council (RHS SGC) competed in the Lip Sync contest. After many rehearsals of the choreography by Council Advisor Ms. Joanne White, Council President Katie DeLorey, and Council Publicity Coordinator Ashley Pezzella, the RHS SGC members were ready to give the competition their all. The crowd cheered and sang along as RHS SGC performed. After the judges deliberated, they announced that Rockland High School had won first place for the first time in RHS history. After all the practices and hardwork put into the Lip Sync performance taking first place was a huge accomplishment. On March 11, the first day of the Massachusetts Association of Student Councils’ (MASC) annual conference, members of Rockland High’s Student Government Council (SGC) took the Polar Plunge to raise money for Special Olympics Massachusetts. With the help of generous donors RHS SGC was able to collect $1,750. RHS Junior and SGC School Spirit Committee Chair, Caitlin Yannizzi was the highest fundraiser at the conference collecting, $810. RHS SGC would like to thank all of the donors for their support.